Stored locally on my desktop in a YXDB fileI am not going to bore you with technical details in this post, but you are more than welcome to contact me for further information. You remember I asked you about the data import? If yes, then now is the time to pay attention. As a matter of fact I didn't have the patience to let the ODBC import finish however the Bulk Load happened in a little less than 10 minutes. To give a short explanation on the difference between ODBC loading and Bulk loading let me give you a quick example. ODBC loading happens a row at a time. Imagine stamping the letters one by one and sending them to the post office - not very effective. Bulk loading on the other hand sends all the data in one bulk, hence the name, and then loads the data into the database. This would compare to giving a huge pile of letters to the post office and let their SUPER stamper do the job - much more effective. I think the numbers speak for themselves. If you want a little bit more info, you can see this video //vimeo.com/144868131. 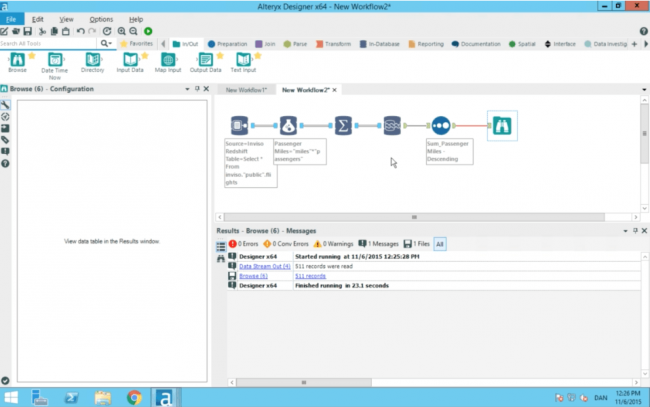 In version 9.5 Alteryx introduced in-database tools to make processing of data even smarter. 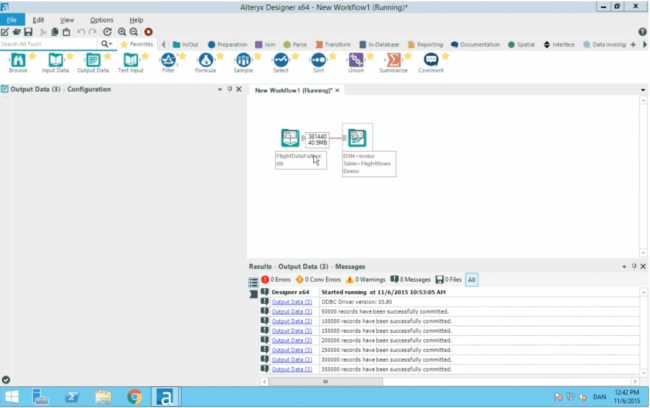 (//www.alteryx.com/solutions/in-database-processing). 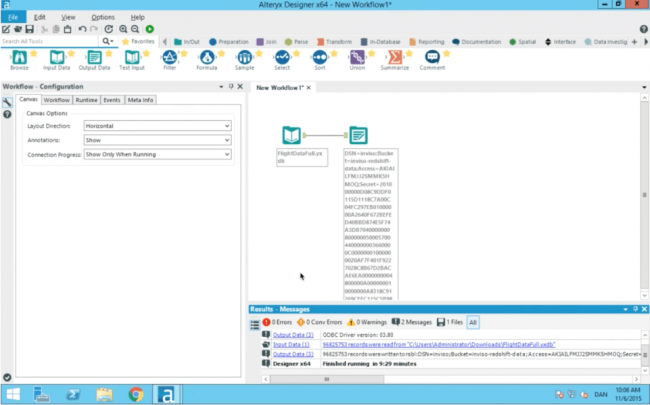 Basically the In-database tools helps you create a query using the tools you are familiar. 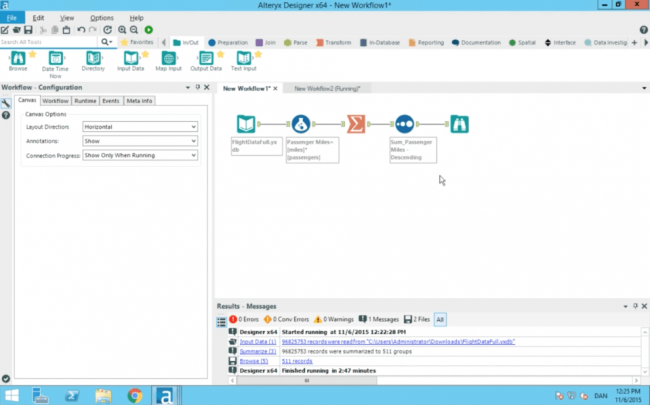 The result of the query can then be sent back to in-memory processing for further analysis. I think the above clearly shows the power of both bulk loading an in-database tools. This happens by giving the power to processing back to the database. Start using this today, and you will see huge time improvements in your daily routines.